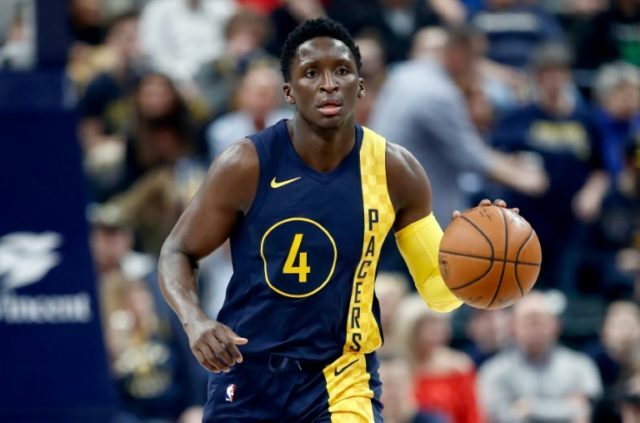 Los Angeles (AFP) – Victor Oladipo scored 33 points and Bojan Bogdanovic tallied 20 as the Indiana Pacers moved up the crowded Eastern Conference standings with a 98-95 win over the Washington Wizards on Sunday. Toronto improved to 45-17 on the season with the win. They have a two-game lead on Boston atop the Eastern Conference standings. Kemba Walker had a game-high 27 points, six rebounds and four assists to lead the Hornets, who have now lost three straight. Prince drained a career high six three pointers and finished with 22 points for the Hawks who posted their 20th win of the season. Prince’s clutch shot came off a perfect screen play by teammate Miles Plumlee. Devin Booker’s potential winner for the Suns, a 15-foot shot from the right baseline, bounced off the rim as time expired.